E-books Market in Europe 2018-2022, has been prepared based on an in-depth market analysis with inputs from industry experts. The report covers the market landscape and its growth prospects over the coming years. The report also includes a discussion of the key vendors operating in this market. An e-book is short of electronic books. It is a digital publication that can be read on a computer, e-reader, or any similar electronic device. An e-book may be a novel, a magazine, newspaper or other publications. However, electronic versions of magazines and newspapers are often called “digital editions” to differentiate them from electronic books. The E-books Market in Europe is forecasted to grow at a CAGR of 4.58% during the period 2018-2022. 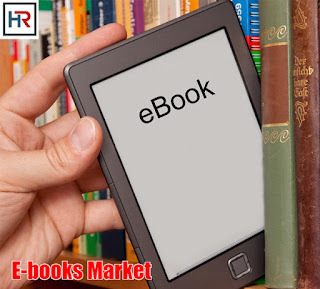 The report covers the present scenario and the growth prospects of the E-books market in Europe for 2018-2022. To calculate the market size, the report considers the revenue generated from the sales of E-books.